Phonics is a word that is often misused, misunderstood and abused. 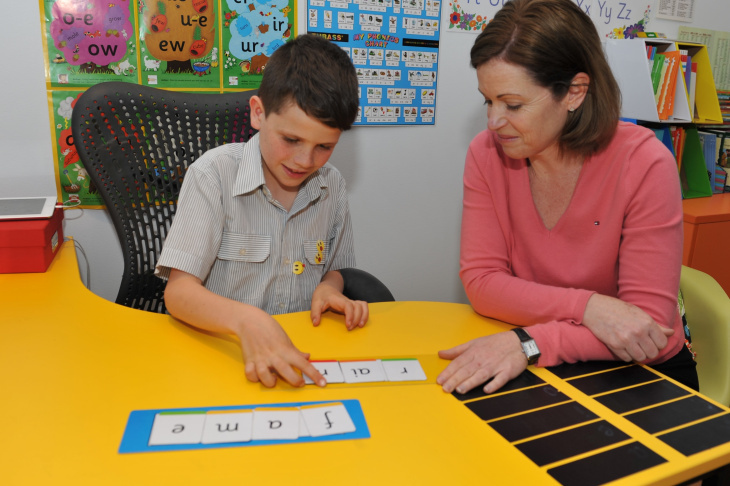 Despite what some might argue, it is a method of learning that has much to offer Australian children. I am often asked why it is so important to teach children phonics, as opposed to learning words through prediction or as a whole word. Sound is critical in the process of learning to read. Children need to hear, distinguish, isolate, rhyme and articulate sounds and words. Once they are aware of these sounds, they can ready the neural pathways in their brain for learning the connection between letters and sounds. This is the single most critical factor in learning to read. When a child can hear a sound, repeat that sound, recognise a sound in a word, and repeat a sound in a rhyme, they are on their way to learning to read. Although over-simplifying the very complex teaching of the alphabetic code, it is a starting point that offers more than what is currently being taught in our early years education. The approach we are currently taking is a flawed one, and we have to ask ourselves the questions, ‘Why do we feel a three or four-year-old needs to be given flashcards of whole words?’ and ‘Why are we ‘hothousing’ children to read before they can sound?’ If we are really honest with ourselves, and have read the research, we would know the answer to the above questions. In their first formal year of school, children should be immersed in phonemic awareness (understanding sounds), phonics, vocabulary, fluency and comprehension. These five critical components are intertwined. But, they each must be taught explicitly and directly in a systematic order for children to have any chance of success in reading, spelling and writing. So, why do I pull out one single word, ‘phonics’? I do this because it is the one piece of the puzzle of childhood literacy that is so often under debate, and so poorly understood. Perhaps the reason for this difference of opinion is due to the fact that some children appear to progress with little support, when in reality more than 20% of children will become at risk in their learning due to ignorance by the ‘system’. Learning to read is not an area that we learn by osmosis. Children need to be taught which sounds correspond with which letters. English is a phonetic language; there are 26 letters, but over 44 sounds! Understanding this complexity will enable all children to be given thorough phonics instruction. I assess more than 200 children every year in my private practice, and every year I see the same result: children from their first year of school, through to the end of primary, who have not been given an ordered approach to the learning of letter-sound correspondence – that being explicit phonics. Some children are therefore years behind in their reading, spelling and writing. They are ‘instructional casualties’. This is our fault. English will not be learnt by chance. We must teach the alphabetic code well and directly. We need to recognise that phonics is not a dirty word, but a critical one. In the world of literacy, Kate Gurjian describes herself as a disruptor. It was her unwillingness to sit by and watch children fail, and to challenge the status quo, that motivated her to establish Time to Shine, carving out a niche in the education of children. Instead of tolerating poor teaching based on lack of empirical evidence and research, and management directives she disagreed with, Kate drew on her extensive experience as an educator to build a new education business. “I will not stand idly by and wait for a child to fail, nor will I tolerate teaching practices that fly in face of proven science. So I decided not to move the behemoth that is the ‘system’ – instead I chose to do it myself,” she said. 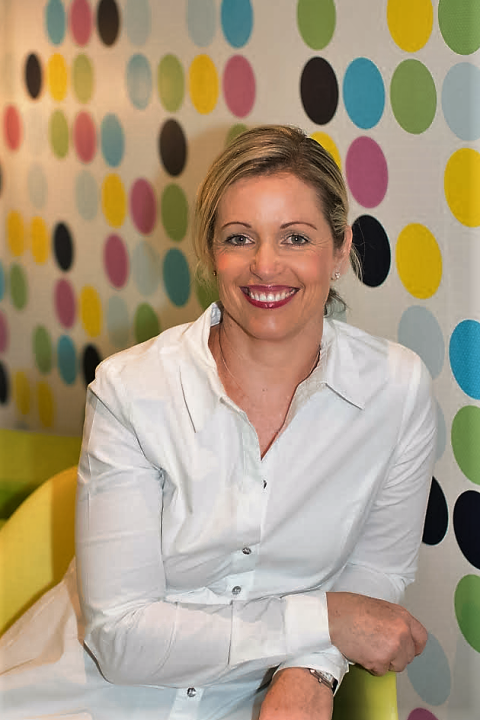 Previously, Kate had worked as a primary teacher, early childhood educator, special needs practitioner, author, head of department and principal. This broad experience provided her with an understanding of what children need in effective literacy and numeracy learning for future success. Time to Shine offers students, from the age of four to 14, direct and explicit instruction in reading, writing, spelling and mathematics, supporting children for whom learning is difficult. The approach emphasises individual attention, research-proven methods, and only utilises the programs that are based on scientific evidence. Equality is also important to Kate, and she aims to ensure all children have access to high quality education. “I ultimately advocate for the rights of the child and the education that must be made available to them,” she said.